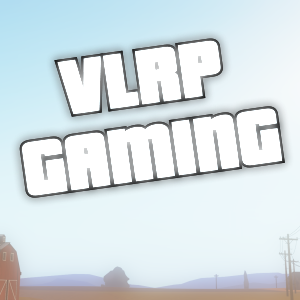 Hello and welcome to the VLRP Gaming web store. Here, you may purchase a variety of packages and perks for our Gaming servers and other services such as our Community forum and TeamSpeak 3 Server. Firstly, you'll need to locate to the tab labelled "Store" and then choose a server which your planning to purchase a package on. After this you should be presented with all of the currently available things to purchase for that server. Next you want to find what your looking to purchase and then click the "Purchase" button displayed at the bottom of the item. After clicking purchase you're given the opportunity to input and use any coupon codes you have and enter them for a special discount, if you don't have any coupons you just need to click "Purchase with Paypal" and finish the payment through Paypal. Your packages will be delivered to you instantly and automatically. How do I send packages to other players? Sending packages is easy! Head over to "Store" at the top, choose the server and package you are buying for the player. Next after selecting the package you want to buy click "Purchase" at the bottom of the item. Next you will be presented with a screen where you can enter coupons and also enter the player's Steam Community ID that you are buying the package for, you can find their Steam Community ID here if you do not already have it. You are required to input their Steam Community ID to purchase it the selected package for them. To read the terms and conditions please click here. For help regarding the VLRP Gaming web store this being any questions or concerns, please contact Papa Ben directly or submit a support ticket via the "Support" tab, remember you must be logged in to access the support tab.